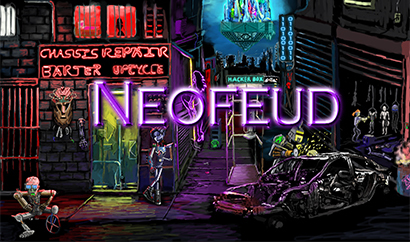 Developed by Silver Spook Games, Neofeud is a dystopian cyberpunk video game, available for the Windows, Mac OS X, and Linux operating systems. 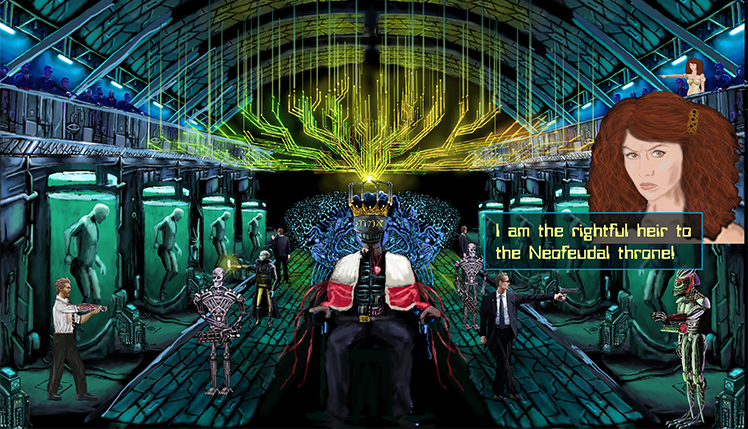 Neofeud is a homage to past works like Blade Runner but adds in a layer of political intrigue. In the in-game universe, humans create AI. As a result of the invention of AI, sentient robots were born. Not all robots are made equal. There are genius robots, but many robots are defective prototypes. Considered to be the garbage of society, these "defectives" are relegated to ghettos and public housing. Robots aren't the only ones seeking perfection. Humans participate in genetic engineering that often results in "Frankenpeople". The Frankenpeople reside in "The Pile" as the outcasts of society. The neo-feudal Lords are the ruling class that presides over the poor Frankenpeople. 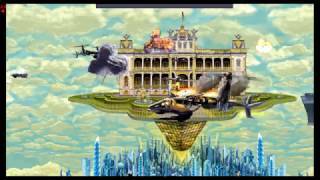 The Lords live in luxurious glass towers and are heavily modified by cybernetic implants. The player becomes Karl Carbon, an ex-cop in this dystopian society. Carbon was once on the Coastlandia PD but was fired after disobeying a direct order. Now, he is a social worker in The Pile. Carbon finds himself working a case that could change everything. You will help Carbon solve, and hopefully survive, his most harrowing case. The game is currently available through Steam. 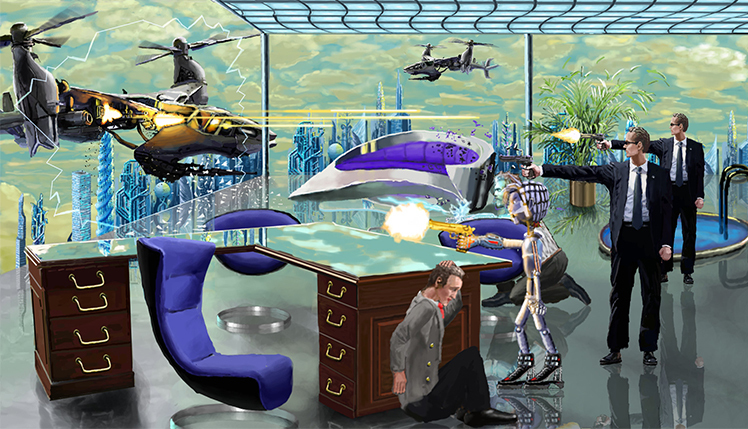 Neofeud boasts a totally original story-line which sci-fi fans will love. The twists and turns of the story will make you think and question everything. Secondly, the point-n-click detective work is tricky yet fun. The detective work reaches boiling points that result in intense shootouts. These actions scenes are a scary reminder that no one is safe. Most importantly, the hand-painted art completes the world in an emotionally compelling way. The music and art combine to create a moody dystopian world. 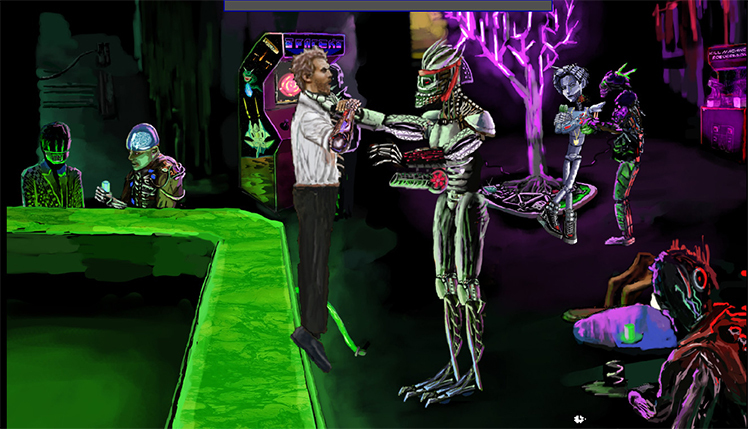 Neofeud is a world so real you can imagine yourself there. A world so filled with one-liners, your sides will be bursting. This game is an incredibly fun ride you'll never want to stop. This video game is a worthy descendent from prior works like Blade Runner and Neuromancer. This game takes familiar cyberpunk tropes and elevates them to a new standard. The game also pays homage in very satisfying ways. For example, the atmospheric music and artwork are incredible. Additionally, the storyline is completely original. There is nothing that will keep you away from completing Carbon's quest. The sheer need to solve the mystery will compel even the laziest detectives to complete this mind-bending case. An excellent example of dystopian cyberpunk, this game is a grungy thrill. Especially with a sequel well underway. 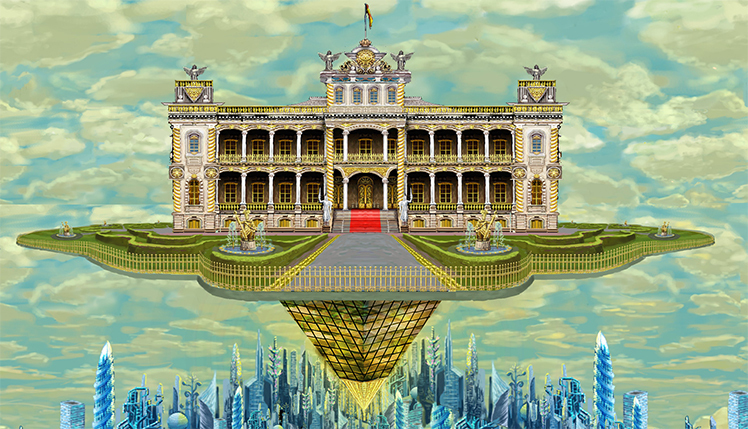 Step into the dystopian world of Neofeud. It is 2033, and with technological advances in AI, where sentient robots are born. 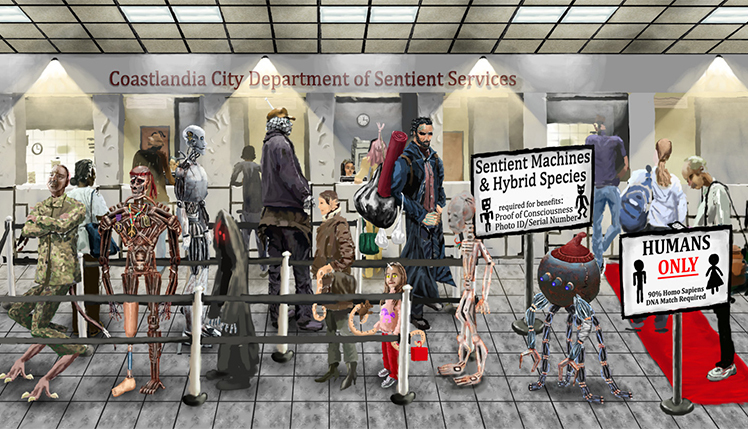 Find yourself drawn into a vile conspiracy that could further threaten this Human-Robot-Hybrid civilization or save it. © 2018, Silver Spook Games. Silver Spook Games logo, Neofeud, the Neofeud logo, are trademarks or registered trademarks of Silver Spook Games. in the United States of America and elsewhere. All rights reserved.